Pulisic — the record Chelsea signee and purported savior of American soccer — is at a crossroads on the path to greatness. To find his ceiling, we need to look at the past. Supporters of the U.S. men’s national soccer team can often point to a moment when they knew Christian Pulisic was The One, the man who would become the best player the national team had ever seen. I knew for sure after his solo goal to open scoring in a must-win qualifier against Panama. The technique was fantastic: the touch to drag Jozy Altidore’s layoff into his path; the pace to race away from star defender Roman Torres; the rounding of the keeper; the finish from a tight angle. But for me, the moment was as much about the celebration. It was angry. A knee slide, a jersey pull, and attitude, like he really was the Wonder Boy. It was his mentality as much as his talent that I knew would make him a star. Then the USMNT went down to Couva, lost to Trinidad and Tobago’s B team, and missed the World Cup. Bruce Arena’s tenure ended with a deafening thud. National team stars like Clint Dempsey, Tim Howard, Michael Bradley, and Altidore were shelved or put out to pasture. The U.S. Soccer Federation spent a year in the wilderness, with caretaker manager Dave Sarachan doing all he could in a suboptimal situation. The team finally hired a permanent manager with some promise in Gregg Berhalter, but matches against Italy and Brazil served as painful reminders that there’s a long way to go to compete with the best. And as the U.S. national team sat in neutral, Pulisic endured a similar lull in his career — both for club and country. He wrote a piece in The Players’ Tribune about how much the loss in Couva affected him. After acing seemingly every test in his young career, he’s finally met resistance. He didn’t play for the National Team between May and November due to injury and fatigue. At Borussia Dortmund, an even brighter, younger star who played Pulisic’s same position showed up in 18-year-old British starlet Jadon Sancho. And Jacob Bruun Larsen, a 20-year-old Dane, also challenged Pulisic for playing time, making it hard for Pulisic to consistently crack the 11. Rumors of a winter transfer swirled. On January 2, The Kid from Hershey officially signed with Chelsea for a fee of more than $73 million. He will finish out the season on loan at Dortmund before officially moving to Stamford Bridge in the summer. Thus, Christian Pulisic’s career is at a crossroads. A relatively benign crossroads where every road likely leads somewhere good, but a crossroads nonetheless. There’s still no doubt that he’s The One. The transfer fee that Chelsea paid more than tripled the previous high for an American player. He is also the third-most expensive player in Chelsea’s history, and the Blues aren’t strangers to spending sprees. No one needs to sound an alarm. But is he The One who becomes a top-25 player globally, or The One who becomes a starter at a really good club? Where exactly is his ceiling? And how can he get there? Pulisic isn’t the first player to face those questions. 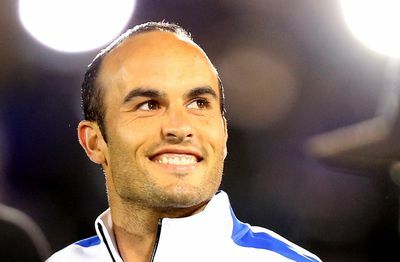 To answer them, let’s look to the past at three players — Spain’s Bojan Krkic, Belgium’s Eden Hazard, and, of course, the United States’ Landon Donovan — who could play like he does, and who shouldered the burden of an entire nation’s footballing hopes to varying degrees of success. Bojan Krkic, playing for Barcelona, celebrates an opening goal against Sevilla in 2011. Bojan Krkic was one of world football’s most-hyped Wonder Boys of recent memory. Like Pulisic, Bojan was born to be a footballer. His father, Bojan Sr., worked for Barça as a scout for more than a decade and played professionally for Red Star Belgrade. Bojan Jr. accumulated more than 900 goals in the club’s youth ranks after joining La Masia, FC Barcelona’s legendary academy, at eight years old. Bojan cracked the first team at Barcelona at 17. When Bojan scored against Villarreal in October 2007, finishing a pass from Lionel Messi, he became the club’s youngest-ever goalscorer. The previous record holder? Messi. The Messi comparisons were inevitable. Though three years younger, Bojan had the same floppy haircut, the same 5’7 stature, and the same quick feet. The only difference: Bojan was actually the fan favorite. Unlike Messi, an Argentine, Bojan was a local product, a Catalonian kid. But breaking Messi’s records turned out to be a curse for Bojan — too much, too fast. “Overnight, I couldn’t even walk down the street,” he told British journalist Sid Lowe in 2009. “I couldn’t go to a birthday party or to the cinema.” His mentor, Rijkaard, left the club in 2008, making way for Guardiola whose distaste for Bojan was hard for Bojan to shake, and he moved to Roma in 2011. Though he scored more than 20 goals for Barcelona’s first team, he never recaptured the magic that he regularly produced with the youth squads. Bojan now plies his trade at Stoke City in the English second division. Notably, Bojan got a raw deal from the Spanish Federation. He more recently revealed to Lowe that he had an anxiety attack before his first match with Spain in 2008. As a result, he decided not to attend the Euros that summer. The national headlines read, “Spain call up Bojan and Bojan says no,” presumably based on what the federation told journalists. The national backlash was swift and ruthless. Though he’s now a cautionary tale for prodigious players, Bojan is finding joy in his craft once more. He’s said that he enjoys playing in Stoke, away from social media and the trappings of modern football, finding a sort of purity in the experience. Bojan’s story demonstrates the importance of playing in the right situation for both club and country. Fortunately, Pulisic has already avoided some of the pitfalls that Bojan had to confront. Whereas Bojan had the pressure of being the local savior, the Catalonian kid at Barça, Pulisic chose to play his soccer abroad, like Messi moving to Barcelona or Antoine Griezmann crossing the Pyrenees to play for Real Sociedad. He chose to launch his career at a club famous for developing young players. Bojan also shows just how heavy the burden of expectations can be, and how Pulisic deals with similar burden will certainly influence his ceiling. At least at Dortmund — for now, as he finishes out his season — Pulisic can be simply a regular contributor, free from the expectations that he carries with the U.S. national team. In Germany, he also benefits from the mentorship of Nuri Sahin, who himself was a wunderkind who once set a record as the youngest ever Bundesliga debutant, first appearing for Dortmund’s first team at the age of 16 in 2005. Mentality matters a lot — Pulisic is right — great players aren’t simply products of “natural ability.” But Pulisic’s career also took off so quickly in large part because Dortmund provided such strong development opportunities at youth levels. It was the perfect place for him. To avoid a Bojan-like career, it will help if Pulisic’s next situation suits him just as well as Dortmund did. Though it goes against manager Maurizio Sarri’s system, Chelsea ideally would let Pulisic play more in his preferred No. 10 position, where he excels for the USMNT. Because it’s at the international level, of course, where Pulisic’s legacy will truly be tested. Landon Donovan before a friendly against Ecuador in 2014. Landon Donovan is still blown away by how young he really was as an 18 year old bursting onto the scene in the early 2000s. Fortunately, that youthful exuberance — along with the absence of social media in the early 2000s — helped insulate him from the pressure of being both the star of a national team and the torch bearer for an entire sport in a country that was still learning to love soccer. Donovan cemented his Wonder Boy status when he scored the goal that sealed the USMNT’s victory against Mexico in the Round of 16 at the 2002 World Cup. Suddenly, even casual sports fans in the U.S. were following soccer, and the players on the team finally had name recognition. John O’Brien. Brian McBride. Eddie Lewis. Brad Friedel. Claudio Reyna. Earnie Stewart. DaMarcus Beasley. And, more than anyone, Landon Donovan. He was 20 years old. He loved SSX Tricky. And he was, like Pulisic, the face of the United States men’s national team. That World Cup changed his life. Between 2002 and 2006, soccer blossomed in the United States, but its position seemed tenuous, as if a failure could undo much of what Donovan and his teammates on the 2002 squad had worked for. He began to feel a constant pressure to perform — not only for his teammates, but also for the future of soccer in America. The 2006 World Cup in Germany was a turning point. Despite managing a draw against Italy, the USMNT failed to advance from the group stages after earning just a single point at the tournament. Media coverage, which had been largely positive to that point, laid the failure at Donovan’s feet. Beyond the results, he worried how soccer would hold up in the wake of an early World Cup exit. ”I felt like I had failed my sport and my country,” he says. That exit was one of Donovan’s first brushes with the ugly side of the beautiful game. He considered retirement, but decided to keep playing after talking to his family, his agent, and other close friends. He realized that he had to adopt a more even-keel approach to the sport to avoid the unsustainable high-and-low emotional cycle it can put athletes through. Donovan became the greatest player the USMNT had ever seen. His career zenith was a stoppage time goal against Algeria at the 2010 World Cup. The Ian Darke shouting, “Go, Go, USA!” goal. The most iconic goal in U.S. national team history. Just as Bojan was inevitably compared to Messi, Pulisic inevitably gets compared to Donovan. Both stand 5’8, both signed with storied German clubs in their teens, and both can play on the wing or as a No. 10. Both were hyped as saviors for the USMNT before they could legally drink. But USMNT supporters readily point out that each chose differently when faced with the decision between playing in Europe and staying home. The easy narrative states that Pulisic chose the crucible and Donovan chose to remain in his comfort zone, spending most of his career playing in Major League Soccer in Los Angeles. Most analysts argue that Pulisic has already accomplished more than any other American in Europe. This is true. No other American has ever earned consistent minutes for a top 10 club in the world. No other American is the youngest foreign-born goal scorer in the Bundesliga. No other American has ever given Marcelo work multiple times and set up the tying goal against Real Madrid in a key Champions League match. But there’s a key difference between the two: Pulisic and Donovan value different things in life, and always have. Despite his accomplishments, Donovan was never an easy read for supporters. He was the greatest talent the national team had ever seen, but he preferred Southern California sunrises and proximity to his family over any obligation he might have felt to prove himself abroad. He consistently challenged fans’ expectations for elite athletes by being thoughtful, introspective, and willing to say and do exactly what he feels. In contrast, Pulisic wanted to be a pro at a young age. He dressed as a soccer player every Halloween. When he was grade school-aged, he’d ask his father Mark — a former professional soccer player and a current coach — to toss balls to his left foot for him to volley, ensuring that he’d be two-footed when he grew up. The two of them watched Real Madrid matches on Saturday mornings. And after starring against Brazil at a youth tournament, Pulisic moved to Dortmund in 2015 because of the club’s reputation for player development. When asked about where exactly Pulisic’s ceiling is, Donovan highlights something else that he sees as a difference between the two of them. Donovan believes that Pulisic will reach that ceiling, and can do it simply. ”He needs to play games,” Donovan says. “People gave me a lot of shtick for not playing in Europe, but I was lucky enough to play in all of my team’s games when I was 20 years old. Playing 34 games in MLS is probably more valuable than playing a handful of games in the Bundesliga. Eden Hazard playing for Chelsea against Southampton FC on Jan. 2, 2019. Player A is 2009-2010 Hazard at Lille and Player B is 2017-2018 Pulisic at Dortmund. In the tail end of 2010, just before he turned 20, Hazard encountered the first real setback of his career when Belgium left him on the bench during a key Euro 2012 qualifier against Kazakhstan. Dogged by inconsistency, Hazard said he didn’t doubt his abilities, but felt as if he was in a rough patch. Hazard emerged emphatically from that rough patch, becoming the youngest player to win Ligue 1’s Player of the Year award in 2010-2011. He would play an additional season at Lille before moving to Chelsea for a reported £32 million in 2012. He was 21 years old. Pulisic still hasn’t turned 21 and he’s already played against much better competition than Hazard had, featuring in key Champions League fixtures against clubs like Real Madrid and Atlético de Madrid. However, he too is in the midst of a rough patch. Hazard should be an attainable goal for Pulisic. They have similar profiles: They both have great pace and technical ability, and both are at their best when they’re running at defenders. Both players also struggle for end product — their mazy, elegant runs occasionally ending in a skewed shot or a misplaced cross. 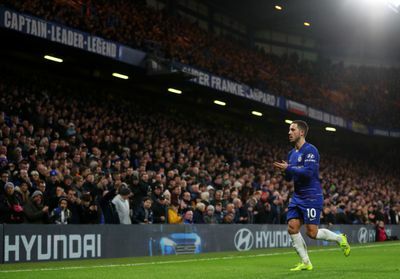 Hazard is still prone to lapses in consistency, too, producing four goals and three assists during Jose Mourinho’s final season at Chelsea ending in 2016. Until this season, which is off to a fantastic start, Hazard had never managed more than 2.1 shots per 90 minutes in the Premier League. 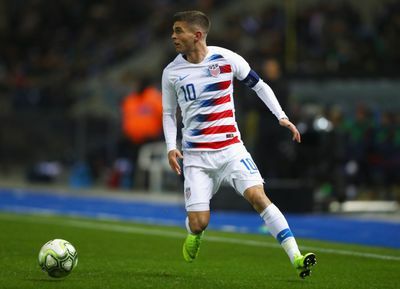 The two are similar enough that it’s possible that the Blues think of Pulisic as an eventual like-for-like replacement for Hazard, who continues to leave the door open for a dream move to Real Madrid. Likely playing on opposite wings to start, Pulisic has the chance to show he can approach the Belgian’s level if he can beat out Pedro and Willian. If you squint hard enough, you can also draw parallels between Pulisic and Hazard’s international careers. Before this current boom period for Belgium’s national team, their greatest achievement was a 1920 Olympic Gold in which the other finalist (Czechoslovakia) protested the officiating by forfeiting at halftime. Belgium were not a storied soccer nation on the level of Germany, Spain, or France. They probably weren’t much more storied than the current version of the USMNT. That all changed with the arrival of Hazard, Kevin De Bruyne, Romelu Lukaku, Vincent Kompany, Toby Alderweireld, Thibaut Courtois, Dries Mertens, and company. The Golden Generation completely altered Belgium’s footballing fortunes, and Hazard — who, like Pulisic, debuted with his national team at 17 years old — was the transcendent player. It may seem like fan fiction to compare the two — there’s debate whether talent is flowing in or out of the USMNT player pool at the moment — but it seems like Pulisic could still lead his generation (along with Weston McKennie, Tyler Adams, Josh Sargent, Tim Weah, Zach Steffen, Ethan Horvath, and others) back to the top of CONCACAF, at the very least. The main difference between the two: Hazard rarely loses the ball, while Pulisic struggles to keep it. Hazard is stocky and Pulisic is wiry. It’s almost impossible to pry the ball from Hazard, who leverages that low center of gravity by using quick changes in pace and direction. Pulisic is more of a glider, more classically mesmerizing, and also more prone to getting knocked off the ball. Per Squawkwa, Hazard completed 160 of his 194 take-ons during the 2017-18 Premier League season (82 percent). During the same Bundesliga season, Pulisic completed 72 of his 170 take-ons (42 percent), losing the ball more in that scenario than any other player in Europe. It’s clear then what Pulisic needs to do if he has Hazard-like aspirations: lose the ball less and produce more — more goals, more assists, and more chances. Chelsea aren’t a slam dunk for Pulisic. He could fail to supplant Willian and Pedro and languish on the bench. 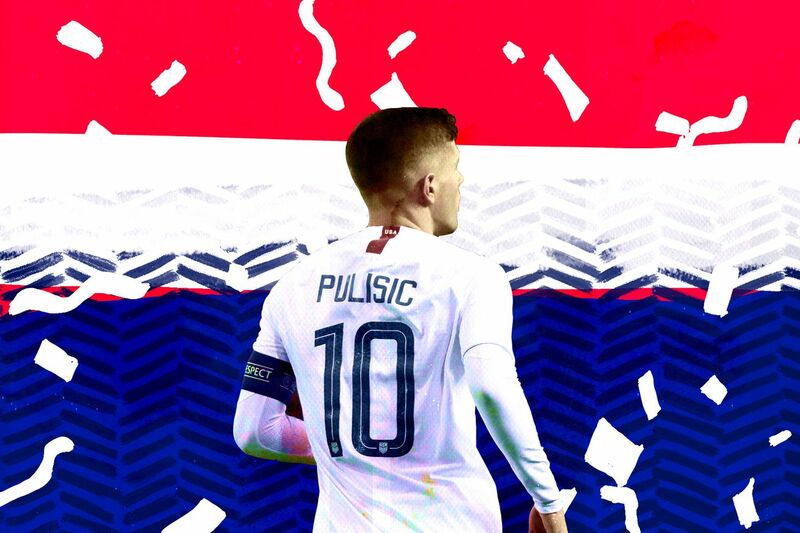 If he doesn’t make the leap, Pulisic will eventually cross the threshold from a “young player” to a “player.” There will be backlash for not living up to hype that he had no hand in stoking, as Donovan experienced after the 2006 World Cup. Fortunately, there are always signs of progress with Pulisic. A chipped finish in the Champions League that he learned from Aubameyang here. A perfect touch to round the keeper and finish off a last-minute winner against Hoffenheim there. That’s the exciting part. Donovan mentioned squeezing all of the juice out of the orange. Pulisic is a safe bet to do exactly that. Whenever we get a glimpse into his world through interviews or another article, he comes across as an individual who is relentlessly focused on his craft, who wants to maximize everything he’s been given and become the best footballer he can. He’s Jiro Ono behind the sushi counter, Miles Teller at the drumset, Alex Honnold in front of El Cap. At times, that mentality may work for and against him. We expect a lot out of Pulisic in part because he sounds like a single-minded, 30-year-old professional. But every so often, we get a little reminder of just how young Pulisic really is. When he tweets at Justin Bieber asking for concert tickets, or dabs after his first Bundesliga goal, or plays Fortnite with McKennie, we remember that he’s still just 20. During these flashes of youth, his potential seems limitless. Yet, it’s worth reminding ourselves that he’s already accomplished a hell of a lot, and it’s going to take time for him to fulfill his full potential. It’s fun to imagine where that ceiling might be. Pulisic probably isn’t an exact replica of Bojan, Donovan, or Hazard. He likely won’t end up at Stoke anytime soon, and he’d do well to reach the heights of Hazard. But whatever his ceiling, there’s something to intrinsically appreciate about anyone who can claim to be the best soccer player in America and withstand the blasts of scrutiny. Christian Pulisic is a kid from Hershey, Pennsylvania, who glides with the ball and never met a defender he didn’t want to run at. He’s his own person and his own player. He could easily be suiting up for Croatia right now. And he’ll be a joy for as long as we get to watch him. ← Flickr will start deleting all of your photos starting tomorrow. Here’s how to save them.